Most of us have heard about the Virtual Machine and its advantages. Even many of the people around this world have never used Virtual Machine in their Local machine. Whether it may be a Laptop or a Desktop, you can install Virtual Machine in anything. Virtual Machine is a kind of an emulated computer which can be installed and accessed from your local machine itself. Virtual Machine enables the users to run various operating systems from your operating system itself. From Virtual Machine, you can easily run Windows XP, Windows Vista from your Windows 7 OS itself. Even you can install LINUX operating system in your Virtual Machine and you can load then from your Windows Operating system without logging out of your window operating system. Virtual Machine allows you to switch back and forth between the two operating systems simultaneously. There are several Virtual Machines available in the market from which you can install many operating in your local machine. But the easiest way to install Virtual Machine is Microsoft Virtual PC. 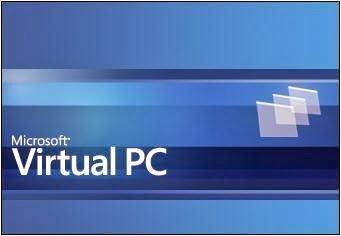 Microsoft Virtual PC is the best Virtualization method from which you can easily install Virtual Machines. Microsoft Virtual PC has two modes Windows XP Virtual Machine and Windows XP Mode. Microsoft Virtual PC allows you run a copy of XP operating system in your Windows 7 operating system itself. Download and install Microsoft Virtual PC from here. After downloading Microsoft Virtual PC, Install it to get Microsoft Virtual PC application in your local Machine. Once Microsoft Virtual PC has been installed in your local machine, follow these steps to set up a Windows XP operating system in your Windows 7 operating system. Step 2: Give a name for the Operating System which is to be installed over the Microsoft Virtual PC. Save it in a location where you’ll remember very easily. Step 3: Choose the amount of RAM which is to be given for the Virtual Machine. For windows XP, 1GB of RAM is enough for run Windows XP operating system operation. Step 4: In this step, you need to choose the type of hard disk method for your Microsoft Virtual PC. You can able to access to sort of options; you may select dynamic drive as well as a fixed sized partitions. Dynamic drive will expand and Shrink according to the need of the Operating systems. Static drive will be same as the size which is given by you. Usually providing 20 GB of space is enough for the Microsoft Virtual PC. Step5: Provide a name for your operating disk (this would be different from the machine name) and you need to save it in a place in your hard drive. Step 6: Now you have to install Windows Xp operating system. You have to choose the way of installing the operating system; it may be directly installed from a DISC drive and you can install OS through ISO files too. Once the installation has been over, you can easily access the Virtual machine from Microsoft Virtual PC explorer. Now you can access your Virtual operating system through Microsoft Virtual PC. What is Rooting a Android Phone! Everything Just Got Easier With Register.Com Now! Why PC games are more popular than Consoles? New Mac Pro Available But May Cost More! How to lock a folder without Software? Gmail loads images automatically from To day! What makes Windows Phone 7 so special? Top 3 gadgets you want to start saving for?? Sony Xperia Z2; A smartphone with 4K resolution! Are you interested in buying a laptop?